Ramco Cement Recruitment 2018 has released for various roles. 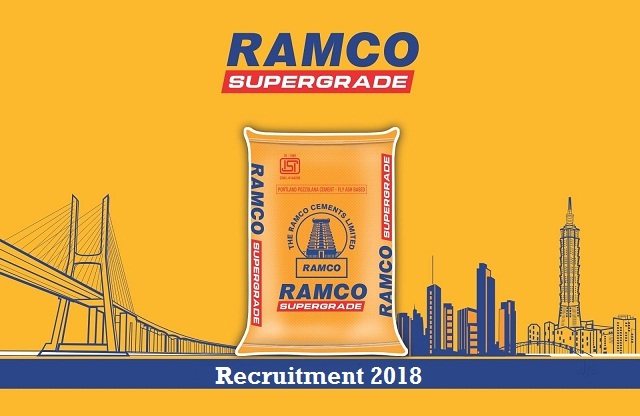 Ramco Cement Career Job has Recently Announced 2018 regarding Various Job Openings Interested and Eligible Candidates can Download Application Through Official website. Want to apply for it? Check Given Below. Ramco Cement Recruitment 2018-2019 || Various Post @ Across India. We require Medical Officer with MBBS qualification and individual who possess diploma in industrial health (DIH) or Associate Fellow of Industrial health (AFIH) or relevant post graduate qualification recognized by Indian Medical Council having at least 10 years of clinical experience in medical centers in an industry hospital/ township may apply.